To readjust your timing, you can drag one or more cells to a new location. 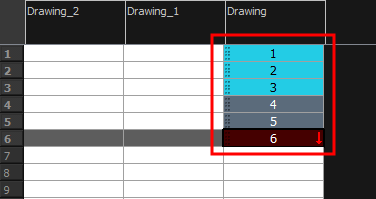 You can drag a cell to any other frame in the same column or into another column. 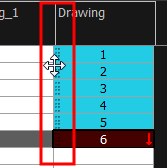 You can turn off the Gestural Drag mode for the Xsheet view to prevent drawings from being dragged from one location to another. This feature does not apply to Annotation columns. In the Timeline view, select one or more cells to move. Drag the cells to the new location. Drop by simply releasing the mouse or pen. Hold Ctrl (Windows/Linux) or ⌘ (Mac OS X) while dropping the selection to copy the cells. The original cells will not be moved. Press Shift while dropping the selection to insert them between existing frames. 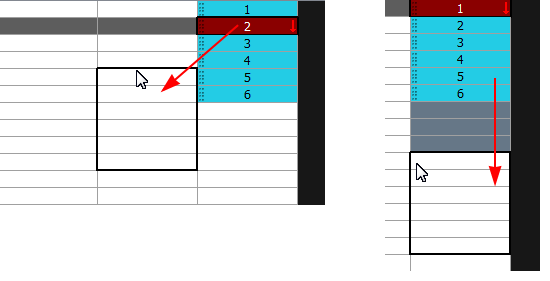 In the Xsheet view, select one or more cells. 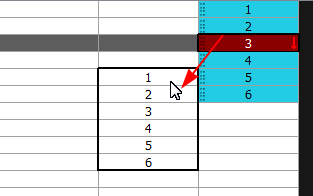 In the Xsheet view, position the pointer over the small dotted area on the left side of the selected cells. 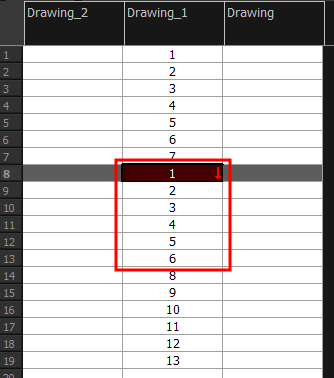 Drag the selection to any other cell in the same column or in another column. 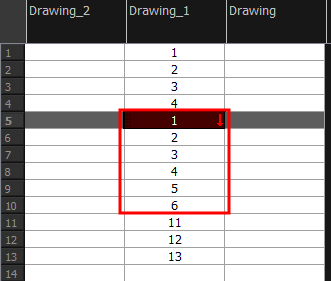 ‣ Drop the selection to overwrite the existing cells. Hold down Ctrl (Windows/Linux) or ⌘ (Mac OS X) while dropping the selection to copy the cells. The original selection will not be moved. Press Shift while dropping the selection to insert it between existing frames.